1994 is generally regarded as the first year of genetically modified crop production, the first being the GM Flavr Savr tomato in the USA. 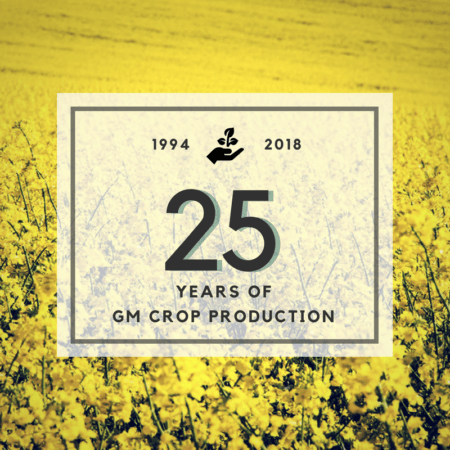 The crops that will be planted in 2018 represent the 25th year of GM crop production. While many eNGOs of social media ‘celebrity’ rant, rave and troll that GM crops are the cause of every leading social, medical and environmental misfortune in existence, this could not be further from the truth. While GM crops celebrate their 25th production anniversary, these technologies have been researched for a decade longer. During this time, they have been proven safe countless times and will continue to offer more benefits as future technologies are commercialized. This blog summarizes and celebrates the global economic, environmental and human health benefits of GM crops over the past 25 years. Brookes and Barfoot estimated for2014, that the global economic benefits of GM crops exceeded US$17 billion, cumulatively reaching US$150 billion between 1996 and 2014. Production increases have also improved global food security. Brookes and Barfoot estimate that leading up to 2014 an additional 158 million tonnes of soybeans and 322 million tonnes of corn have been produced. In a meta-analysis of 147 studies on GM crop impacts, Klümper and Qaim found pesticide use has decreased 37%, yields increased 22% and farmer profits increased 68%. Subramanian and Qaim found Bt cotton adoption in India raised vulnerable household incomes (those defined as living on less than $2/day) by 134%. In the USA, Hutchinson and his group found GM corn adoption created an additional $6.8 billion in value, of which 60% went to non-adopters due to lower insect pressures. According to researchers at the University of Saskatchewan, Western Canada experiences $350 – $400 million in annual benefits from the production of GM canola. Yorobe and Smale found that the adoption of GM corn in the Philippines increased household income from $400/year to $600/year, that’s a 50% increase. Vitale and colleagues calculated that Bt cotton adoption in Burkina Faso resulted in a profit of $150/ha versus $70/ha for conventional cotton. Pray and colleagues found that Bt cotton adoption in China allowed farmers to spray less frequently, in some instances dropping from 30 applications per season to 3 but more commonly from 12 to 3-4. Huang and colleagues observed that Chinese Bt cotton farmers had reduced insecticide applications by 71% from 14kg/ha to 4kg/ha. The spillover of environmental benefits from lengthy Bt cotton adoption found that in some non-Bt cotton fields the amount of insecticide used dropped from in excess of 40kg/ha to less than 10kg/ha. Benefits of Bt cotton adoption in India were quantified by Subramanian and Qaim, reduced pesticide use by 41%. 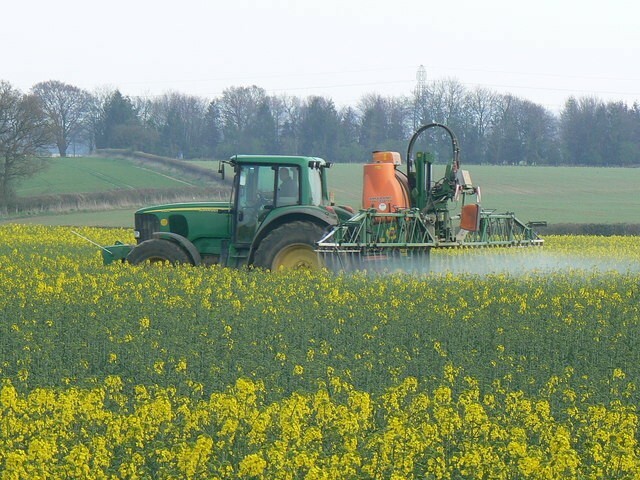 In Western Canada, Smyth and colleagues found the environmental impact of chemicals applied to GM canola dropped by 53% when compared to the chemicals previously used on non-GM canola. Globally, Brookes and Barfoot calculated that CO2 emission reductions from GM crops were equal to removing10 million cars from the road for one year. Gruère and Sengupta documented a reduction of suicide rates by one third following the release of Bt cotton among Indian farmers based on extrapolating the pre-Bt cotton suicide rate. Gouse and colleagues found small landholders’ adoption of GM corn resulted in 10 -12 fewer days of female hand weeding per season. Vitale et al. estimated 30,000 fewer cases of pesticide poisoning per year were occurring among Bt cotton farmers in Burkina Faso. Kouser and Qaim estimated that the number of pesticide poisonings following India’s Bt cotton adoption were reduced by 4 – 9 million cases a year. While those opposed to GM innovation in agriculture continue to advocate there have been no benefits from GM crops, the above evidence totally refutes these claims. The adoption of GM crops has resulted in economic benefits for farmers, reduced chemical use in the environment and most importantly a reduction of millions of cases of pesticide poisoning. Not to mention, these benefits are not only gained by developed nations but have had significant impacts in developing nations, helping agricultural regions leap from agrarian to modern practices. The time has come to stop denying there are no benefits from GM crops or to be called out a lack of ethics and morals. Brookes, G. and P. Barfoot. 2016. Global income and production impacts of using GM crop Technology. 1996–2014. GM Crops and Food 7: 1: 38-77. https://www.ncbi.nlm.nih.gov/pubmed/27116697. Gruère, G. and D. Sengupta. 2011. Bt cotton and farmer suicides in India: An evidence-based assessment. Journal of Development Studies 47: 2: 316-337. http://www.tandfonline.com/doi/abs/10.1080/00220388.2010.492863. Gusta, M., S. J. Smyth, K. Belcher, P. W. B. Phillips and D. Castle. 2011. Economic benefits of genetically-modified herbicide-tolerant canola for producers. AgBioForum 14: 1: 1-13. http://www.agbioforum.org/v14n1/v14n1a01-smyth.htm. Huang, J., J. Mi, H. Lin, Z. Wang, R. Chen, R. Hu, S. Rozelle and C. Pray. 2010. A decade of Bt cotton in Chinese fields: Assessing the direct effects and indirect externalities of Bt cotton adoption in China. Science China: Life Sciences 53: 8: 981-991. https://www.ncbi.nlm.nih.gov/m/pubmed/20821297/. Hutchison, W. D., E. C. Burkness, P. D. Mitchell, et al. 2010. Areawide suppression of European corn borer with Bt maize reaps savings to non-Bt maize growers. Science 330: 6001: 222-225. https://www.ncbi.nlm.nih.gov/pubmed/20929774. Gouse, M, D. Sengupta, P Zambrano and J. Falck Zepeda. 2016. Genetically Modified Maize: Less Drudgery for Her, More Maize for Him? Evidence from Smallholder Maize Farmers in South Africa. World Development 83: 27-38. https://www.sciencedirect.com/science/article/pii/S0305750X16000498. Klümper, W. and M. Qaim. 2014. A meta-analysis of the impacts of genetically modified crops. PLOS One 9: 11: 1-7. http://journals.plos.org/plosone/article?id=10.1371/journal.pone.0111629. Kouser, S. and M. Qaim. 2011. Impact of Bt cotton on pesticide poisoning in smallholder agriculture: A panel data analysis. Ecological Economics 70: 2105-2113. http://www.sciencedirect.com/science/article/pii/S0921800911002400. Pray, C., D. Ma, J. Huang and F. Qiao. 2001. Impact of Bt cotton in China. World Development 30: 6: 931-948. http://citeseerx.ist.psu.edu/viewdoc/download?doi=10.1.1.318.5539&rep=rep1&type=pdf. Smyth, S. J., M. Gusta, K. Belcher, P. W. B. Phillips and D. Castle. 2011. Changes in Herbicide Use Following the Adoption of HR Canola in Western Canada. Weed Technology 25: 3: 492-500. http://www.bioone.org/doi/abs/10.1614/WT-D-10-00164.1. Subramanian, A. and M. Qaim. 2010. The impact of Bt cotton on poor households in rural India. Journal of Development Studies 46: 2: 295-311. http://www.tandfonline.com/doi/abs/10.1080/00220380903002954. Vitale, J., G. Vognan and M. Ouattara. 2014. Cotton. Chapter 38 in S. J. Smyth, P. W. B. Phillips and D. Castle (eds.) Handbook on Agriculture, Biotechnology and Development, 604-620. Cheltenham, UK: Edward Elgar Publishing Ltd. http://www.e-elgar.com/shop/handbook-on-agriculture-biotechnology-and-development. Yorobe, J. M., and M. Smale. (2012) Impacts of Bt maize on smallholder income in the Philippines. 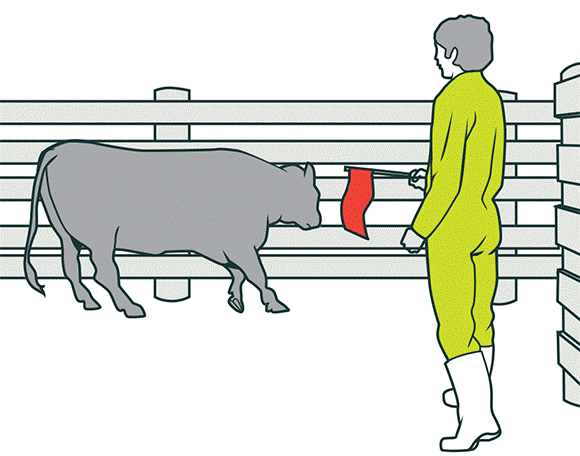 AgBioForum 15: 2: 152-162. http://www.agbioforum.org/v15n2/v15n2a04-yorobe.htm. Thanks so much for this excellent post! It’s hard to find reliable data on economic and environmental benefits, so this is much appreciated. I’m involved science communication myself, including a TV show (in Quebec) that I host on scientific skepticism and health. I did an episode on GMOs last year and I was amazed at the backlash from anti-GMO lobbying groups and environmental groups. I mean, you would expect these people to be somewhat more reasonable and nuanced than the common listener, but I think they’re worse. On the surface, they seem extremely knowledgeable (although I can see the ideology coming before the facts). But they are very good at convincing people that GMOs are bad all-around. So my question is : how do you deal with these groups ? The best answer is probably “you don’t”, but let’s say that you have to… Do you have any kind of advice when it comes to structuring an argumentation? There’s so much data that it’s easy for them to cherry pick. I usually deal with anti-vaccine, anti-gluten, anti-X people, so I’m used to science denial, but here it’s beyond my field of expertise so it’s much harder for me. I do deal with these groups. There is a small percentage of the population that are opposed to innovations in agriculture , which is not rooted in anything other than political opportunity. There is no science to support any of the accusations anti-ag advocates put forward. Canada has reviewed the risks of GM crops, found them equivalent to existing crops and Canadians have safely consumed GM crops for 25 years. There simply is no evidence to support their accusations. GM crops have been approved in over 30 countries without a single concern for humans or the environment. In Canada, GM canola requires 40% less chemical than non-GM canola required, while farmers receive $350 million more in revenue. If people want the option to consume organic food here, that is their choice. I don’t believe any individual has the right to dictate what choice someone in another country has. Canadians are well fed, we are a food exporting nation, but no Canadian has a right to tell someone that is malnourished in a developing country that they should not have the right to have access to more food. I provide examples of benefits and then explicitly ask anti-ag advocates why they don’t support reduced chemical use, or farmers making higher profits. If they continue to deny any, and all, benefits, then your listeners will know that their opposition is entirely political, not grounded in legitimate concerns about anything, undermining their own credibility. I’d be glad to be a guest.